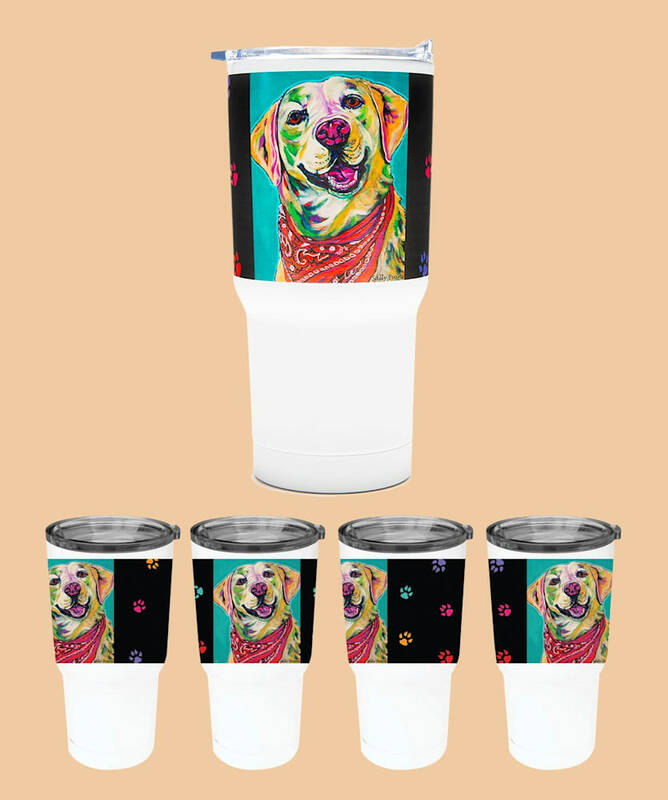 Adorable Yellow Lab -.20 oz. vacuum sealed stainless steel tumbler with matte soft touch. Keeps beverages hot and cold!